Gabe Kaplan not Joining "Welcome Back, Kotter" Reunion? A recent announcement regarding the 35th anniversary reunion of the famous TV show “Welcome Back, Kotter” included a noticeable omission from the list of actors expected to accept a 2011 TV Land award. Gabe Kaplan, the actor who played Gabe Kotter in the 70s sitcom, was not listed as one of the actors that would receive an award, leading many people to believe he will not be a part of the reunion. Many Welcome Back Kotter fans will be disappointed that the reunion will not include one of the television program’s stars, but the reunion should not be affected that much. TV Land as already announced that the show’s other stars Lawrence Hilton-Jacobs, Ron Palillo, Marcia Strassman and John Travolta will be present to receive their awards. 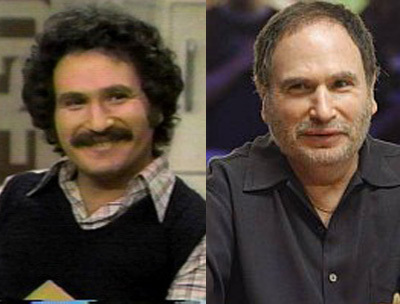 1 Comment on Gabe Kaplan not Joining “Welcome Back, Kotter” Reunion?